SAN FRANCISCO — The Japantown Task Force Inc. Board of Directors announces the hiring of its new executive director, Steve Nakajo. 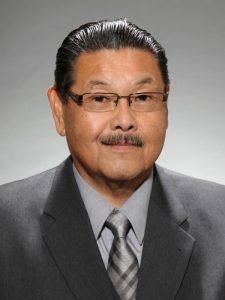 He is the successor to Robert Hamaguchi, who passed away in 2017. Known as the co-founder and former executive director of senior service agency Kimochi Inc. for 45 years, Nakajo will manage initiatives so that Japantown will thrive as a culturally rich, authentic, and economically vibrant San Francisco neighborhood. The JTF Board of Directors: Sandy Mori (president), Glynis Nakahara (vice president), Judy Hamaguchi (secretary), Mark Moriguchi (treasurer), Seiko Fujimoto, Richard Hashimoto, Alice Kawahatsu, Benh Nakajo, Jon Osaki, Beau Simon, Neal Taniguchi, Clint Taura, DDS, and Rosalyn Tonai.